Hurford Salvi Carr’s Aldgate Office is located on the ground floor of the Altitude Tower, near Goodmans Field. It was one of the first estate agents to arrive in the area, once the regeneration was reaching completion, in 2015. 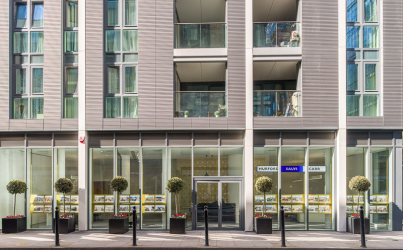 Our staff have accompanied the changes in the district and can provide valuable insight into both the market and the properties that make up the ever changing landscape of Aldgate and the City fringes. The area offers an unusual mix of the charm of quintessential London and the sophistication of an über modern city design. The contemporary luxury buildings mixing neatly with the historic architecture of Brick Lane, Whitechapel, and St Katherine’s Docks.